Positive free publicity translates into more customers and increased sales; it's truly money in the bank. It used to be said that a lady's name should only appear in the newspaper three times during her lifetime; when she was born, when she married, and when she died. This isn't the case with a business - the more times your small business is mentioned in the newspapers (or in business blogs), the better, as long as the free publicity is positive. But to get this kind of publicity, your business has to be newsworthy, and you have to blow your own horn. Editors, reporters, and bloggers are looking for stories. That's what they do. 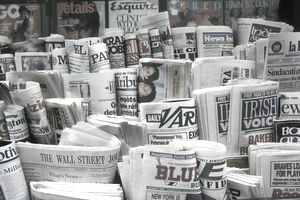 If you want free publicity, you have to capitalize on events or actually create events that editors, reporters, and bloggers will find newsworthy. For instance, the fact that you've relocated your business isn't a story; it's just an event. If you want free business publicity, you have to come up with the angles that make it a story. Capitalize on the event by tying your business's move into increased economic development for the community, or by holding a grand re-opening party for the public, and you've got a story that the newspaper or blog might be interested in - and possible free publicity for your business. However, reporters and bloggers are busy people. They may not have or take the time to discover your story themselves. You have to blow your own horn by letting them know about it. Give the newspaper's business editor a call, or send the appropriate reporter or blogger a press release. Make sure that you give plenty of lead time if your story is relevant to a particular date or time frame. If you're operating a service business, events such as grand reopenings and special sales may not work well for getting free publicity for your business. But you can still benefit from increasing your profile in the community. Many businesses, for example, sponsor charity events or contribute to non-profit, charitable organizations in their communities. We've all seen stories featuring business involvement in everything from cleaning up a salmon stream through working toward improving literacy. Other businesses generate free publicity by offering the public free seminars or giving demonstrations. There are a lot of do-it-yourselfers out there who are interested in everything from working with stained glass through winterizing their vehicles. If you have the appropriate facilities, this can be a great way of drawing new business and getting your business featured in the newspapers or online. There are all kinds of ways that you can bring your business to the attention of the community, but positive free publicity is one of the most valuable. If you don't have time to generate positive free publicity about your business yourself, you may want to hire a public relations firm. Do You Know the Difference Between Promotion and Advertising?